Shares of home robot manufacturer iRobot popped today as high as 21.4% over quarterly earnings beat with the Massachusetts based company's Q2 revenue beating analysts estimates with $226.3 million for the quarter as international sales fueled the revenue growth. iRobot enjoyed growth across several regions with sales up 51% across Europe, Africa and the Middle East and a 15% jump in the U.S. which has also led the company to increase its full year revenue prediction to between $1.06-$1.08 Billion in comparison to $883.9 million revenue last year. 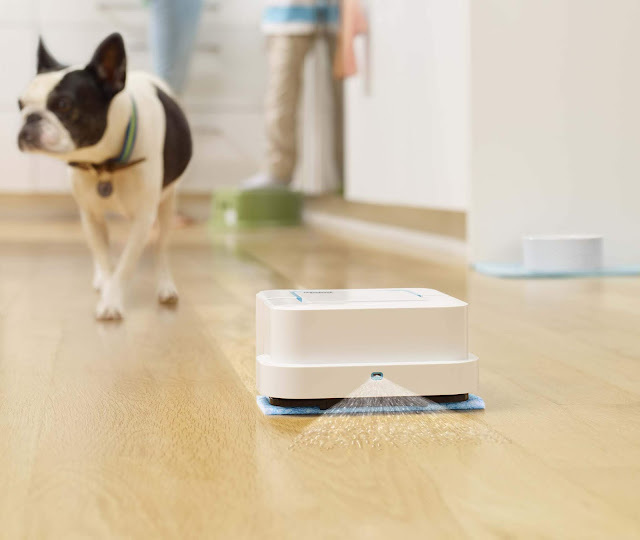 iRobot's most popular product, The Roomba enjoyed very high sales across several regions in part to being a featured product on Amazon's Prime Day sale along with other of its products including the Braava mopping robot whose sales climbed 50% during the quarter. iRobot was founded 1990 by 3 MIT graduates who initially designed robots for space exploration and military use and now stands as a top consumer robot manufacturer widely noted for its autonomous cleaning devices. The company's Roomba flagship was released in 2002 and surpassed 2 million sales in just 4 years time and has been climbing since then while making much more revenue for the company. iRobot sold its military robotics unit 2 years ago to Washington based private equity firm Arlington Capital Partners to focus on the consumer side which has shown very positive results for the company even as several investors are concerned about future competition from the likes of Amazon which has been reported to be working on home robots and also stands notable for the acquisition of warehouse robot manufacturer Kiva Systems for $775 million in 2012. Amazon has since expanded its robot army by a large percentage with 100,000 of Kiva's robots estimated to be working at the company's warehouses as at September last year.